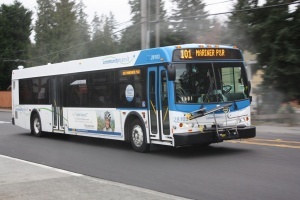 Community Transit is a transit system covering Snohomish County. It operates a network of local and express buses. Community Transit connects with Sound Transit, Sounder trains, Washington State Ferries, King County Metro, Everett Transit, and Skagit Transit. This page was last edited on 23 March 2019, at 23:46.